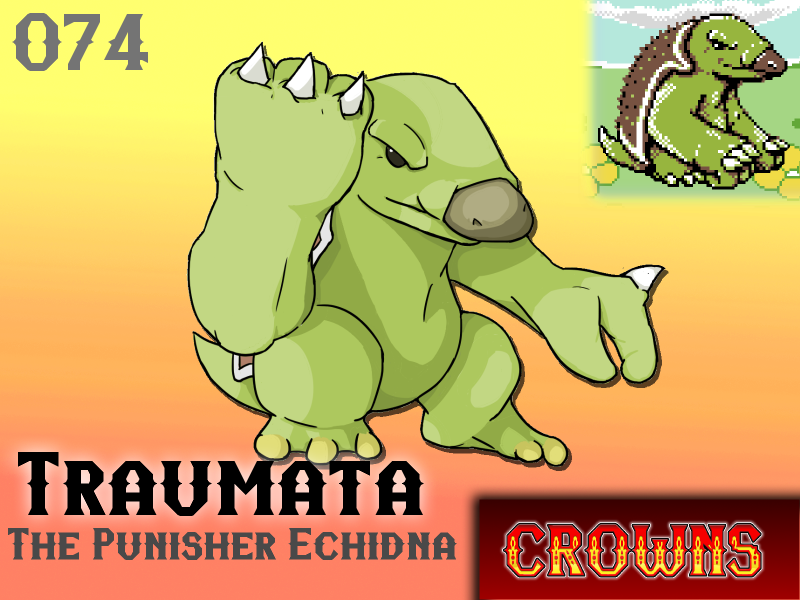 Traumata are large monsters that reside primarily in plains and low-lands across the Island. This species is tough and sturdy - attributes which are necessary for Traumata's way of life. These Monsters often fight one amongst themselves, slamming their large, horned fists into each other. Their fighting serves several purposes, securing mates, fighting off aggressors, or just as a way for two unknown Traumata to get to know each other and build mutual respect. Traumata's thick hide mean that fights are rarely lethal, or even draw blood. Unfortunately a simple punch can be a death sentence to most every other creature. Will Traumata make your team? Very very strong? My kinda dude! He's goin on my Team!